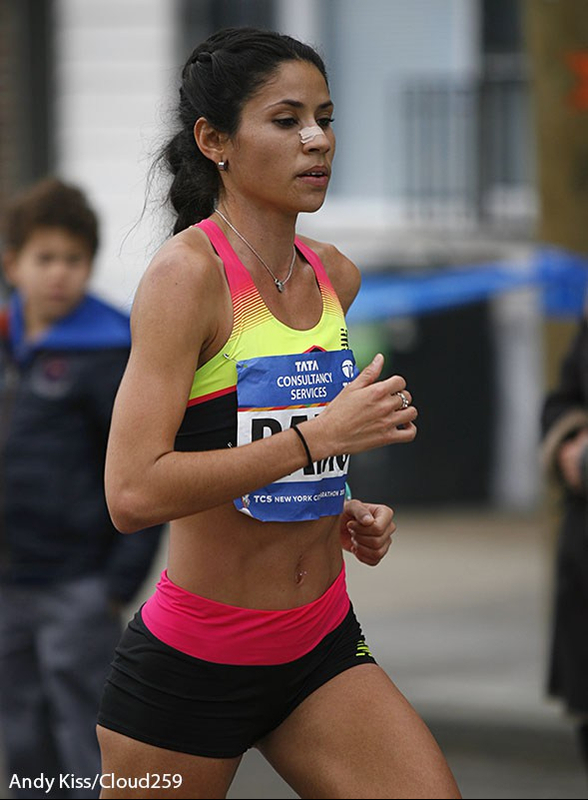 Beverly Ramos at the 2015 TCS NYC Marathon, where she finished 15th in 2:41:56. In Episode 59, Beverly Ramos discusses living and training in Puerto Rico in the aftermath of Hurricane Maria as she prepares for the 2017 TCS NYC Marathon. The two-time Olympian and Puerto Rican record holder shows no signs of slowing down as she sets her sights on the race and on helping her country. Elsewhere in the episode we take a quick look at the NYC Marathon fields, and Polly recounts her Chicago Marathon.